Whether you’re going to church on Easter Sunday or helping your mom prepare the Seder dinner for Passover, looking sharp in a nice suit is a good idea. In most places, you’ll probably be dressing for warm spring weather. Be sure to find a spring suit that’s not too formal and will keep you cool. From there, it’s all about choosing a Passover or Easter suit that fits you. A khaki suit is a perfect suit for less formal events in warmer weather. Pair a tan or khaki suit with a pale blue or white button front shirt, navy tie, brown loafers, and a brown belt. For a slightly more casual and fun look, wear a patterned pink shirt and nix the tie. Wear some stylish leather sneakers and a patterned pocket square to complete your look. You’ll look perfectly appropriate for spring. 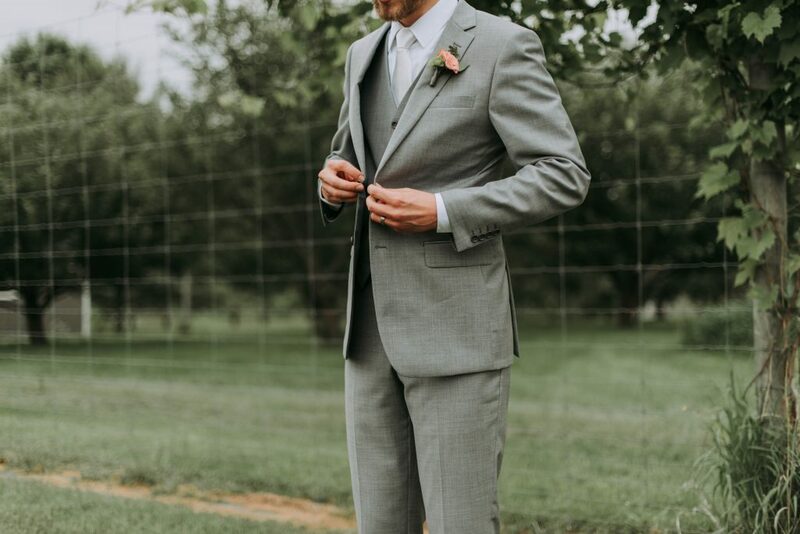 Charcoal grey works well during the colder months, but a lighter grey suit in lightweight fabrics will look and feel fresh. Linen and cotton are great fabrics that will keep you cool and comfortable, but still look stylish. 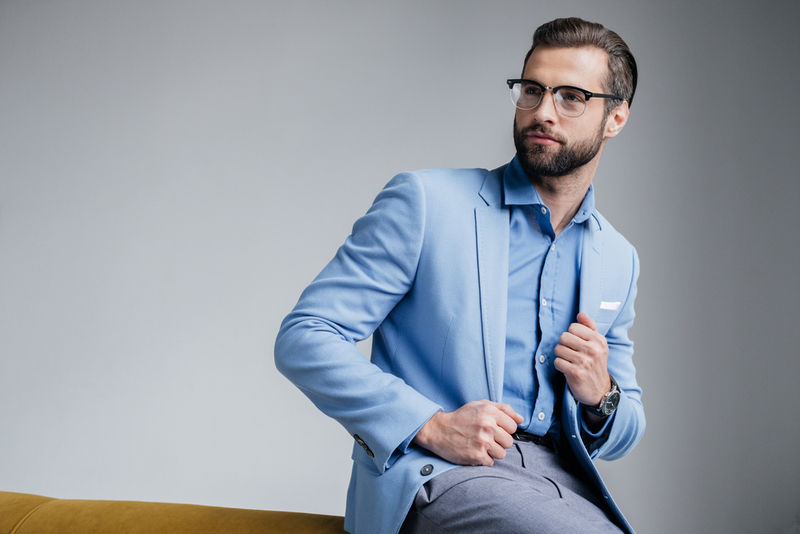 For a dapper spring-inspired look, choose a button front shirt in robin’s egg blue, lavender, or mint. Pick a patterned or solid tie that complements your shirt color, and finish it off with brown suede chukkas or boots. Seersucker and denim are incredibly stylish and popular fabrics for spring and summer suits. Seersucker’s distinct crinkled, striped surface and cotton fabric will make you stand out and keep you cool in the heat. If you’re trying out this signature style for the first time, it’s best to keep it simple with a white shirt and solid navy or patterned tie. Chambray is a little more subdued than seersucker but still unique. Pair a chambray suit with a blue plaid or check shirt, or a white shirt and navy tie. For both of these looks, choose leather or suede loafers, or fresh white leather sneakers. If you don’t have time to find a new suit in a lighter color, you can still create a great spring look using a classic navy suit. Embody spring and Easter with a crisp white button front shirt and a fun floral tie. Or, keep it simple and cool with a pale blue shirt and patterned blue linen pocket square, no tie. For an extra clean and preppy look, wear a pink shirt and pocket square instead of pale blue. Brown leather oxfords and a brown belt will complete your outfit. Jim’s Formal Wear has tuxedos and suits for every spring and summer event: Easter, Passover, weddings, proms, quinceañeras, company parties, and more. Find your next look in our catalog of styles now.